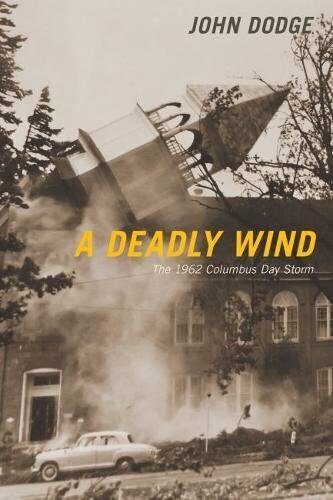 An unexpected phone call and a blog post ten days later from a well-known Pacific Northwest weather scientist became the two key ingredients that motivated me to write this book on the deadly 1962 Columbus Day storm. -- from the author's Preface to A Deadly Wind: The 1962 Columbus Day Storm by John Dodge. On October 12, 1962, a windstorm slammed the Pacific Northwest coast, with wind gusts reaching 127 mph in Portland. Dozens of people died and hundreds were injured. Over 50,000 homes were damaged. And the storm leveled enough timber to build 1,000,000 homes, which spurred the Asian log export market and the Oregon wine industry. Journalist John Dodge tells a lively and detailed story of this catastrophic storm and its lasting effect on the region.